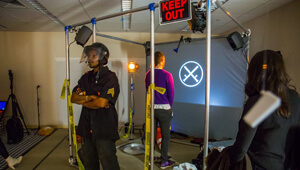 ‘I was fascinated by the scientific methods of control setting, protocols and measurable situations versus spontaneous outcomes.’ says Nurit Bar-Shai, an interdisciplinary artist and educator, who is the co-founder of Genspace, the community biology lab in Brooklyn, New York, where she initiated and served as the Arts and Culture Program Director. 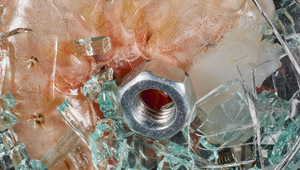 Nurit Bar-Shai’s work is at the forefront of the BioArt movement. Her work lies at the boundaries of biotechnology, DIY biology, genetic manipulation, bacterial colonies and biomaterials, to raise awareness on the ethical and social impact of genetic manipulation and biotechnologies. 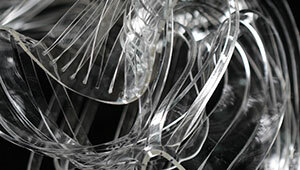 Bar-Shai’s prominent work with bacteria was inspired by the work and research of Professor Eshel Ben-Jacob of Tel-Aviv University, who was a pioneer in the field of bacteria systems, specifically with the Paenibacillus vortex, a microorganism known for its high social behaviour and self-organisation. 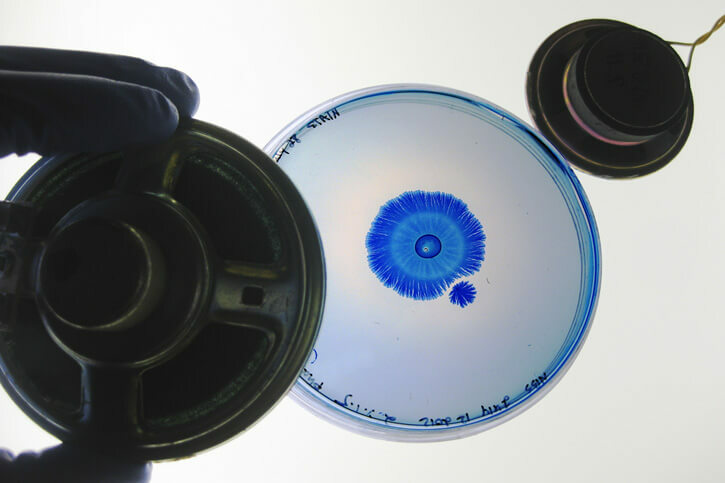 Notably, P. vortex forms complex aggregations and colonies when grown under different conditions (or nutrients) that can be visualised using a dye. On the other hand; P. vortex is seen as ‘intelligent’ microorganisms because they communicate with each other using chemical signals or ‘chemical tweets’ that allow them to exchange information about the growth and environmental conditions amongst themselves. 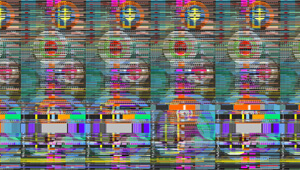 Objectivity [tentative], an ongoing project focused on Paenibacillus (among them the P. vortex) system communication patterns, looks into the relationships between art, science and technology. 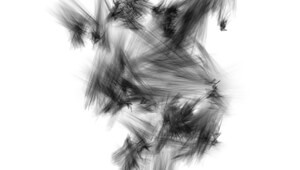 Composed experiment, among them The Soundscapes series and Sound to Shape, a live performance. Objectivity [tentative] is a guide for an unusual journey to discover the social behaviour of Paenibacillus. In The Soundscapes series, Bar-Shai uses sound frequencies and a combination of visual and audio elements to visualise the spectacular behaviour patterns and complex architectural structures formed by the Paenibacillus. On the other hand; in Sound to Shape, Bar-Shai presents a performance with live bacteria within the confines of a gallery. 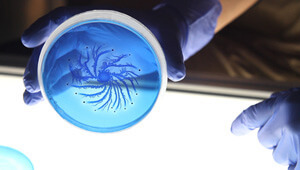 She conducts biological experiments where audio waves are transmitted through the agar to use sound to create complex patterns of these tiny organisms. Bacteria, descending from Archaea, were one of the first life forms on Earth. So if the first thought you have when talking about bacteria is ‘a microorganism that causes an infections’ you should take a deeper look into Nurit Bar-Shai piece Objectivity [tentative]. 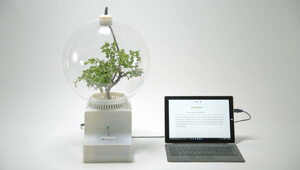 A project that will change what you know and think about bacteria. What drew you into working in the intersection of biological systems, genetic manipulation and art? Interdisciplinary art has always been part of my practice; it is the means by which I ask questions. Earlier in my work it was installations and video, later it was interactive telecommunication with objects, cameras and physical computing devices and then I adopted biological systems into my vocabulary. I never studied biology in an organized way, but it has always been around me. My father and older brother are both veterinarians and I’ve lived with and among animals and nature all my life. Apart from all the pets and exotic animals that came through our house (some stayed), when we were kids my father used to take us out on the weekends and reveal life under turned stones, hidden under the disguise of stillness and nothingness. These were our small expeditions to worlds full of wonder, mysterious creatures, of fear and excitement, curiosity, imagination and explorations, but mostly appreciation of nature. I took those memories with me all my life, but did not integrate them into my artistic practice until it became relevant to my work, to the questions I was asking at the time. Technology, like other artforms seemed at the time I practiced it to imitate life (nature and behavior) rather than incorporating it into the work. Biology is the only art form that doesn’t imitate life but rather is life. Jens Hauser once said that BioArt “present” rather than “represent” life. I wanted to collaborate with nature, to understand it by using it and not illustrate or mediate it through another medium/ art form. After all it is the medium that is the closest to us, we are IT, yet we confine it in the hierarchical silo of the lab and coat it with the patina of exclusive expertise. After I graduated from ITP/ NYU (2006), a few encounters, experimentations and collaborations with brilliant artists and scientists led me to start asking questions through Biology, a medium that is and consist within itself notions of: time, process, self assembly, self organization, collective collaborations, mass communication, control, authority, original, reproduction, life, death, decay.. And even the notion that a work of art could have a lifespan just like every other living organism. That an artwork could “die”, as opposed to our efforts (in the west) to preserve a work of art and artifacts as a commodity that “should exist forever”. I was also intrigued by the performativity of its self-assembly, collective collaborations or with the idea of “unique copies” when reproduction took place. Or adding nature to square the triangle art-artist-viewer and through the collaboration with biological systems, or sometimes even giving up control all together, learning to accept life as it is, with all its sublime horror, surprises, and crisis. I was fascinated by the scientific methods of control setting, protocols and measurable situations versus spontaneous outcomes. Moreover, working in a lab with biological systems, while incorporating scientific methods and research into the artwork, biology becomes the medium and thus the artwork takes on new attention to tending and caring for the artwork. The artwork has to be “taken care of”, or “tended to”. You have to learn “its needs” in its survival mechanism – it’s necessities. You collaborate and suggest, or challenge, rather than generate or derive it out of the work. It teaches you about slowness, and process, serialism and evaluation, of decay and giving up complete control. It teaches you to look in a different way on “accidents” and “crisis” or the meaning of life. It was almost like going back to all that Duchamp set out to achieve, only that here it was “natural” and in abundance all around me. All I had to do is to point out and say “look here”! I was further intrigued by the notion that you could manipulate life itself, and by that manipulate perceptions, which are understood as “Truths”. If life is no longer what it seems to be, or nature or our body, then what is natural? What is artificial? What is between man-made and all other things? For an artist this was a goldmine. In 2009 I met Prof Eshel Ben-Jacob, who, in his generosity and openness to art-science collaborations, invited me into his group at the Tel Aviv University, trained me, guided me and allowed me to conduct creative experimentation in his lab, a collaboration which lasted until his sudden death last year. My need for independence in my creative process, inspired by the DIYbio movement, SymbioticA and a collaborative outreach (with the art collective The Grafting Parlour and MIT scientist Dr. Natalie Kuldell), led me to co-found a community biotech lab in Brooklyn with like-minded colleagues. We co-founded Genspace that year, promoting citizen science and access to biotechnology. This enabled me to expand on the notion of the lab, as my studio, while creating a new platform for others to join, and building a community. Objectivity [tentative] explores the communication systems and social behaviour of the P. Vortex bacterium; could you tell us a little bit about the intellectual process? Isn’t it interesting that humans attribute intelligence to bacteria? When I first met Prof. Eshel Ben-Jacob I was completely taken by this notion. The idea that bacteria can be social and communicate was mind-blowing to me. Up until then I was looking mostly into human-machine systems. I was especially interested in online systems, a platform, which, for the first time, enabled the many to simultaneously communicate and collectively create with each other. But we are nothing close to what these bacteria can achieve in terms of mass-communication. With self-organization, cooperation, altruism and instinctive self-sacrifice, and even task distribution, like social insects, some bacteria in the colony build efficient paths of transport and network systems, while others search for food, branching out and pioneering new environments. When faced with problems, such as dearth of food, presence of toxins, antibiotics, or other harsh conditions they have to be very creative and try to solve problems collectively as a colony. Paenobacillus, found by Ben-Jacob about 20 years ago, are known for their remarkable motility and advanced social behavior, which is reflected in the development of colonies with complex architecture structures. 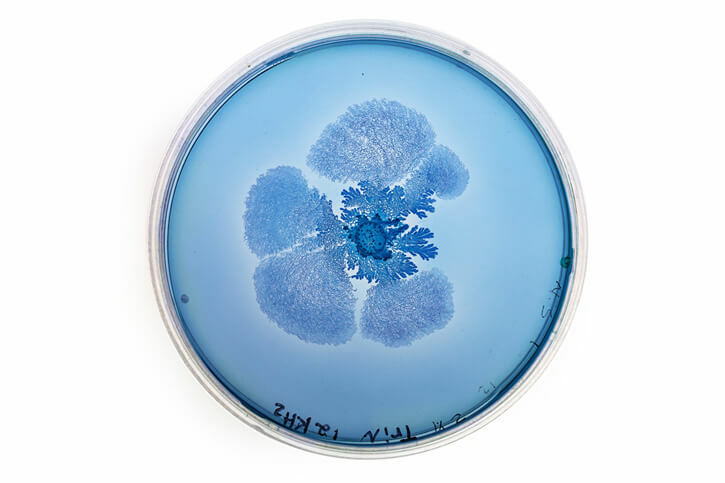 They are considered to be among the smartest bacteria, scoring highest in “Bacterial IQ” tests. The way scientists evaluate bacterial intelligence is based on their collective cooperation and decision making as a colony. We now know that microbial cells “talk” to each other – sending chemical signals, which Ben-Jacob described as “chemical tweeting”. Communication gives both microbes and humans our amazing capacity to cooperate. Edward O. Wilson, the father of sociobiology, believed that this is “the mystery at the heart of social behavior!” Moreover, Eshel’s group found that Paenobacillus collaborate with other organisms and even cultivate other organisms performing agriculture behavior. What fascinates me is that eventually the patterns we witness here is a visual representation of a fleeting moment of bacterial-communication fixed in time. 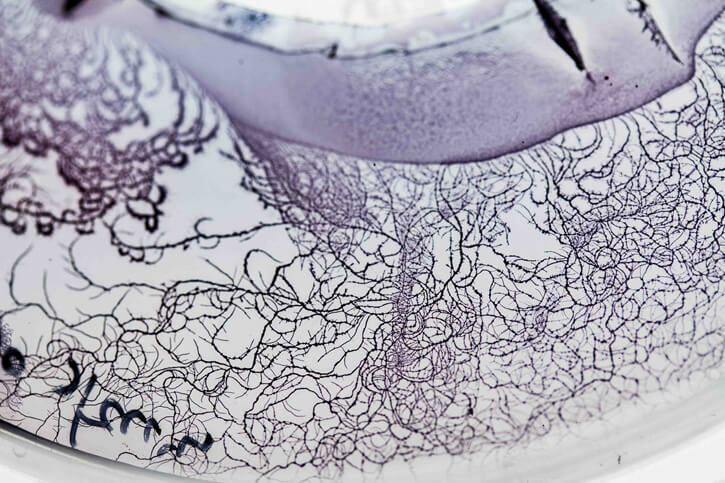 Perhaps when we see these patterns, we recognize the creativity, the astonishingly intricate organization and the efforts these microbes have gone through to achieve these results. Perhaps our appreciation to aesthetic is the recognition of such abilities, which we attribute as “beauty”? Or perhaps beauty is in fact “intelligence” or intelligent problem-solving? Scientists have already used microbial-language to communicate with cells or disrupt their communication systems. We see this used today in cancer research, for example. But wouldn’t it be incredible to have a whole dictionary, a language of microbial signals? What fascinates me more here is that every signal, unlike “words”, is a component – a physical, a chemical matter. Not an abstract idea, a signifier, as we know language. We are starting to conceptualize how matter is directly connected to all things on earth – even the concept of what memory is. Or what “feeling” is, and perhaps even what “intelligence” is. Nothing can escape it. I have no doubt that in the future we will look at emotions very differently than the way we understand them today, Or even the way we perceive psychology and mental illness, or for our conversation – intelligence. The race to find the “gene” that is responsible for intelligence is obscure, since eventually, like everything else in evolution, it’s never just one thing, It’s a composition of many “things” in context. I love the phrase “gut feeling” to describe our instinctive feelings about a given situation, which was coined before we understood anything about our microbiome and how in fact it defines us and even controls the way we act and behave. Most of our microbiome, which constitutes about 90% of the cells in our body, resides in our gut. This hub of bacterial soup sends signals to our brain telling it how we “feel” about things, and in return act upon them. Some call it our “second brain”, yet instead of a fixed contained one on the top of our body, this one is elusive and elastic. Today with the hype of mapping the microbiome in and on our body, and our surroundings, as well as our ability to collect Big Data and the human genome project, we are starting to connect the dots. But it’s not only the “hardware” DNA that defines us, it’s the ecological context and consistency. Bacteria help us to understand our immediate relationship to our environment. So many of the challenges that we face today have been already worked out for billions of years by various models in nature. The remarkable thing about humans is our ability to curate and create: extract and curate the various benefits from different biological systems and create new ones. We are creatures of awareness and curiosity, of imagination and invention. We have learned how to engineer and extend our body limbs and senses, cure and fight diseases, control and enhance reproduction and eventually our life span. We have also created tools that help us to enrich our abilities beyond our body capabilities, from knives and cars to rockets and communication systems. Its pretty unique where we’ve got our selves. So intelligence is an interesting concept when it comes to microorganism. Perhaps by talking about it this way we, humans, can be a bit more humane and humble towards nature, and learn something about the evolution of advanced social behavior from these tiny creatures. We still don’t know everything about nature and about the billions of microorganisms that make us and the biosphere.Perhaps attributing intelligence to them from a human-centric point of view could make us more attentive and understand that we are merely part of an ecosystem. On the other hand, when talking about collective social interactions and altruism, it’s interesting to also mention the “selfish cell” – the single bacteria that act “selfishly “ against the odds of the colony. It’s a very risky act – on one hand it can cause it, its survival opportunity, while on the other hand it could gain it new opportunities, which in return the whole colony could benefit from. So perhaps they can also teach us something about selfishness which could take here on a completely different perspective or definition. Seeing the selfish individual as a pioneer, depends on the context and mostly the result– the benefit of the collective. As educator and curator at Genspace your work addresses the ethics and the Do It Yourself biology; What (bio)technical invention do you think that will have more impact in real life in a not-too-distant future? It’s a mix of a few things, but mostly openness and the democratizing of the field: creating more access and building communities on one hand, while investing resources to develop sustainable research and interdisciplinary opportunities on the other. Or even new models for research and discovery, from personal medicine to gene therapy and microbiome therapy to stem cell research and lab-grown materials, the next revolution after personal computing personal biotech – it will probably be the iBIO of all things. So it’s important that more people will be literate and be exposed to the practice, as well as to the possibilities, risks, utopias, fears and hopes that comes along with it. Obviously, some biotech inventions will have more impact than others. It is the combination of advancement of biotechnology, ideology, regulations, and social activism. In general we will see cheaper and user friendlier lab tools. We will use higher interfaces and more user friendly application in the lab. And our digital and screen based technology will be incorporated into every aspect of the lab. On the other hand, the lab would minimize in size and specialize even more. Or the democratization of biotechnology and the idea that every city would have a library, a makerspace and a community biotech lab as part of a city infrastructure for its citizens. Advancements in stem cell research and tissue culture engineering, combined with 3D printing and AI (Artificial Intelligence) technologies could allow us to design and grow new biomaterials including organs. We live in a biomaterial-renaissance, and just begun to explore the possibilities of our natural resources. Perhaps in a few years time we could install 3D bio-printers next to the microwave and mixer in our kitchens. Bioinformatics, copyrights and privacy issues will too take up on large debates in society. On one hand, advocates of public databases (such as gene archives), could advance research and accelerate progress in medical treatment. Yet on the other hand, our bio profiling could be hacked or misused. Advancements and accessibility to Synthetic Biology, the direct access to reading and writing DNA allows selection, designing and engineering of the genetic code or creating a whole new organism, which raises ethical questions. Asking hard ethical questions, being involved in creating new regulations while protecting creativity and innovation, or the suppression of research both by scientists and by cultural pioneers working with biological systems (like artists, designers, architects, etc). In addition, innovation in biotechnology for non-medical use as well as the support and integration of creative and cross-disciplinary practices is essential for the development and success of the field. But it’s not only the technology or the gadgets that will change in the future It’s our perceptions of “self”, of our identity, and the relationship of self to nature. GATTACA is here! And not only in hospitals or among professional communities. Those who can afford it or in need are pushing the boundaries. From gene therapy and fertilization, to hormone therapy and microbiome therapy. It starts from selecting our future babies to enhancing physical features in our kids. This is not futuristic it’s happening now!! Our ethics towards designing our body genetically or otherwise will too transform as the technology advance, and with it we will be forced to ask again hard questions about life, self, identity, natural, artificial… And most probably we will redefine these concepts. Technology is just a tool. It’s really what we do with it and how we embrace it into our lives that matter most. From new way of manufacturing material, new ways of medical treatment to new ways of seeing ourselves and the world around us. Those are the things that will really affect how we behave and act in the future. 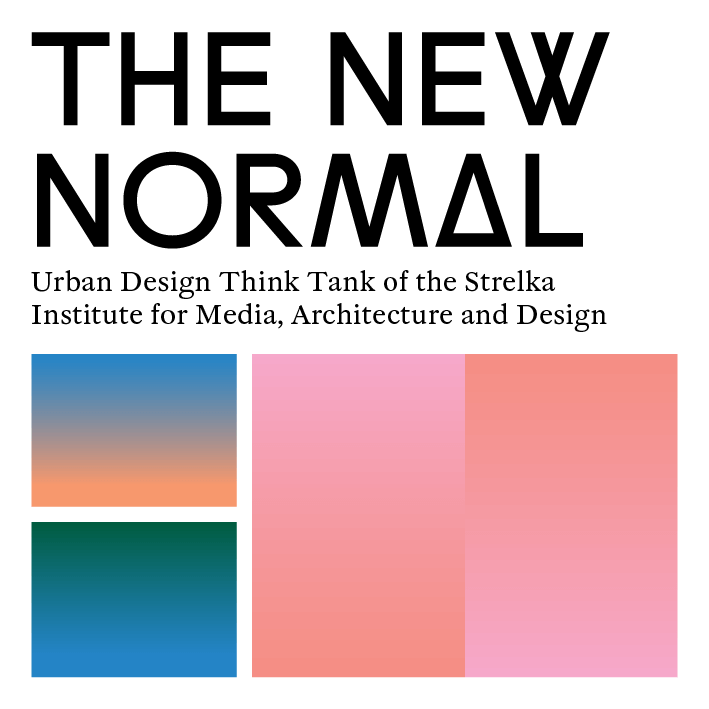 How we build new social, political, economical and cultural structures. What we fight for, what we produce, how we communicate. We are the gatekeepers of our own futures. We ought to be aware of the possibilities and be cautious about not losing democracy to fear and power. I have never really planned in advance how or where to take my artwork. I think I’ve always in a way followed it. It takes me. I’ve always worked simultaneously on a few ideas, but some consumed me more than others and justified my complete immersion and dedication to them. I’ve always worked in parallel on a few projects, some bigger than others, some take more space and thoughts than others. I find these exchanges of ideas, immaterialities and concepts within myself as a fruitful platform that feeds on itself – an inner debate, a space that one project can learn from another. It’s a beautiful situation for communication, not only between people, but between your own work. I obviously cherish a dialogue between people –but it has always fascinated me to achieve this interchange within my own projects –that’s why working on series is a very fruitful process. And if you learn how to filter noise out and benefit rather than be destructed by it, it’s in fact a very resourceful, constructive and liberating process. Some of the projects I am currently working on are: My ongoing journey, Objectivity [tentative], taking inspiration from the work and research of Prof. Eshel Ben Jacob “The Social Life of Bacteria”, this body of work is a series of inquiries and interventions with Paenibacillius bacteria including the vortex, through non-traditional scientific experiments and include: The Soundscapes series, using pure sound waves and a range of frequencies; Sound to Shape, part of the Soundscapes series, takes experiments out of the lab and invites sound-artists to collaborate and perform live in a gallery space; Morphoecology looks into bacterial habitats utilizing custom-made petri plates, and 3D spatial surfaces utilizes custom-made nutrient agar to draw a link between bacterial morphogenesis and designed ecosystems. Unlike any of my previous artworks the work and research through this project is process and research oriented, which is continuously in growth and expansion as it progress throughout the years. And the more I learn about these tiny creatures and, thanks to them about nature and culture, the more I realize that I still know nothing at all. Two relative new projects I’m currently working on are The Passing and lab-grown 4D materials. 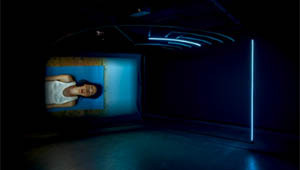 The Passing, started two years ago in collaboration with Dr. Nina Tandon and continued at EpiBone Artist in Residence. 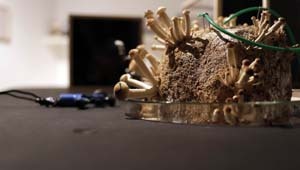 This body of work explores the use of tissue culture engineering, 3D printing technologies and the idea that time, encapsulated (for billions of years) in material such as bone, can tell us something about pre-human history and can too be designed and manipulated. I am cultivating lab-grown buttons – an allegory to early domestic design tools and the transformation of materials extracted from their origins to become practical objects. The other is a collaborative project growing new biomaterials in the lab. 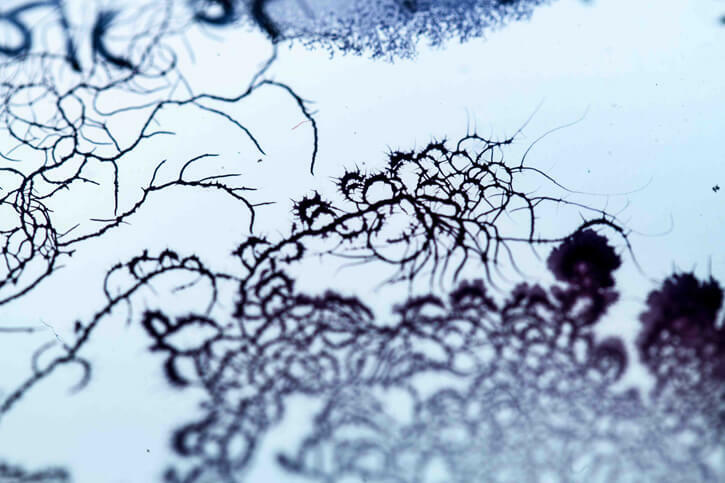 As well as the NYC Biome MAP and The Hills Are Alive With Microbes, collaborative bacterial printing projects with scientist Christine Marizzi and public participants. On one hand my work continues to take on more research direction, which press me to be more in the lab and experiment, while on the other hand I continue to develop art-science education programs and public outreach programs. Throughout the years, I’ve developed collaborations with other scientist and artists. In addition, I have developed extensive public programs at Genspace and beyond. I built and developed the Arts and Science lecture and workshop series at Genspace, which was a unique program at community biotech labs at the time. 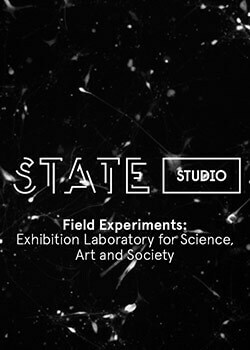 As part of these programs I invited both artist and scientists to share their experience with the general public hosting presentations or hands-on lab activities. I’ve also been teaching, writing, advising, as well as touring lecturing and workshops – so I guess my hands are completely full. I just wish I had more time, it’s never enough and I really enjoy it all. Biology has taught me to work very differently and accept process, slowness, development, and failure. It taught me to work in serial, and progress in a very different way than any other artwork practices has taught me in the past. My artwork in that way, has always required me to learn new tools and skills, challenge me with new technologies and difficult journeys. I’ve always been grateful that it teaches and educates me. And for all the opportunities to work and collaborate with so many fascinating innovative, creative people, from all walks of life. It taught me to learn about most current and pressing subjects, to see others, be patient, notice and appreciate the small little things in the now. Each project is an Alice’s rabbit hole, a mysterious journey, and an ecosystem full of exciting new things. It’s fascinating because if the artwork requires you to do and learn, it is part of the process. I guess I’m stubborn in that way, because it’s not that obvious or easy to make what we are making. We need to constantly be alert and insist of doing what we are doing since sometimes even those who collaborate with us and support our work, are in doubt. While they don’t know, that in fact deep deep inside, we are constantly in doubt – it’s part of the DNA of being an artist. By working directly with biological systems and learning scientific methods how to grow them rather than just observe, I can participate in the wonder of nature at first hand. By growing them myself, I participate in the process, and become a partner. It’s almost like drawing from nature, yet here I engage with the process of the happening as it unfolds in front of me. Just as the wonder of painting or sculpture reveals themselves to the artists, here too, the bacteria or any other biological system I work with, grows into the environment settings I introduce to it at the beginning. And while they struggle to survive and create I become an apprentice, a witness, a collaborator, a participant in the process, and through that I became part of it. And it becomes part of me. Definitely time! And not having enough of it. You have to have a very special relationship with time in order to create art. If we could use biological systems to clone or engineer time that would be fantastic. I was just joking a while ago about it with a friend, that maybe in the future people will be able to make a miniMe of themselves, to do all the sort of things they want to do and never have enough time for it all. It sounds megalomaniac, but with the advancement of AI and biotech – perhaps the future is closer than we realize, unless the advancement of life extension research precedes. I guess I really wish I would have more time to be and do all the things I dream of doing. The French say that the three-body problem is in fact of cheese, wine and bread – which you can’t live without.